What did Steiner say about teaching lessons on plant classification? 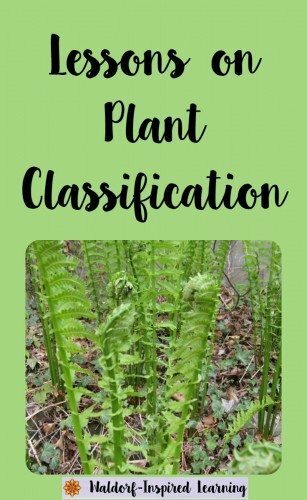 Lecture Eleven from Discussions with Teachers suggests a framework for lessons on classifying plants. (This is for what we may know as the 5th grade botany main lesson block.) Steiner describes how to talk about the groups and families of plants and then encourages us to go out into nature to observe real, live plants! Steiner says that unlike the animals, the plants represent soul qualities of the human being. He suggests that as we move through the plant kingdom, the plants become more complex, just as a child becomes more complex in his or her thoughts and feelings, and engagement with the outside world. And so to begin with, all plants can be divided into groups or families in which one particular aspect of the plant is more fully developed. In this lecture, Steiner includes one of his examples of how he might talk to the children. (I find listening to his words to the children delightful! Definitely quirky, and of another time, but also always much more personable than I somehow expect coming from Rudolf Steiner.) In this case, the children would be around age eleven. He goes on to describe ferns and mosses. “You are not smart enough yet for these last experiences (the plants with a green calyx and colored blossoms), and you won’t know anything about them until you are thirteen or fourteen years old. Alison: I like this comparison to a point – but as I sometimes feel with other subjects, the analogy is taken a bit too far. It begins to feel a bit tiresome and artificial to me. As a homeschooling parent, we can offer the analogy and then REALLY focus in on the differences among the groups of plants themselves. I would look at LOTS of different kinds of mushrooms, name them, and examine the conditions under which they thrive. I would then compare the mushrooms to the next kind of plant – algae and mosses and what makes them different and unique, instead of comparing them so much to the stages of childhood. I can only take a hint of an analogy; when it takes over, it’s just too much for me!! Jean: Just a note on the context here. At the beginning of this lecture, one of the teachers-to-be asks Steiner what he thinks of the teachings of some scientific thinkers of the time, and Steiner responds that their comparisons of plant families are “too external.” Steiner wants us to make connections between plants and the human being. Thus the analogy of different types of plants representing different stages of human development. My take: he may be extending this analogy for the sake of juxtaposing it against other plant classification systems of his day. His goal is to personalize a subject that has up to this point in history, been taught in a very dry and abstract way. This lecture brings this to mind for me: I think the tricky thing to remember about the Waldorf method is that it is both essential (the thing that’s needed) and a framework that we get to flesh out, all at the same time. You might also be interested in reading what Steiner had to say in this lecture on the awe and wonder of plant study: Steiner on the Plant World. As the ferns begin to unfurl in my backyard, I am thinking of how much I love doing plant study in April or May. Lots of treks through the woods for this block! How about you? Are you doing any plant study in the coming months? If you prefer, you can read online at www.rsarchive.org, or listen at www.rudolfsteineraudio.com. 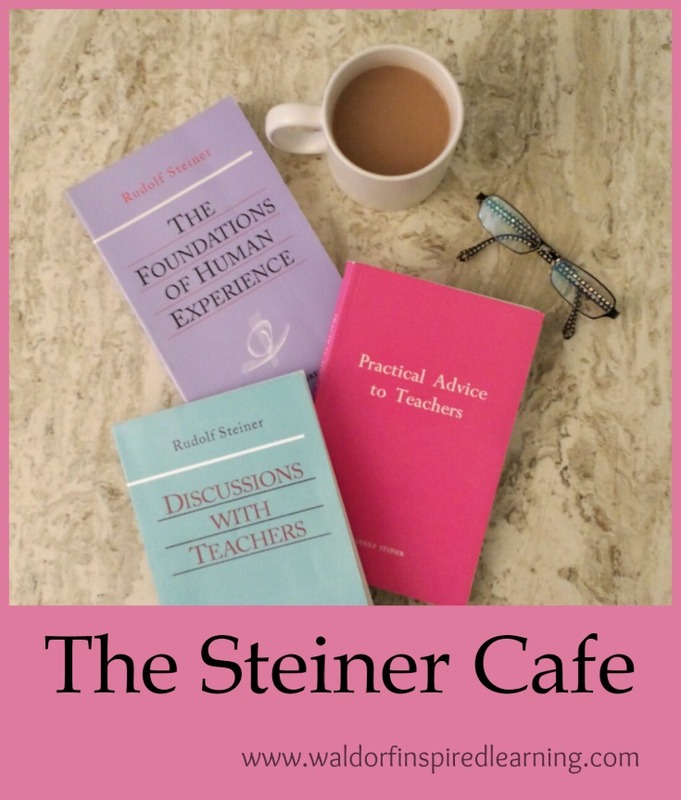 Or, just meet us here every other Thursday or Friday at The Steiner Cafe for some lively discussion. Lot’s of options! Where is Your Waldorf Homeschooling Sweet Spot? What a helpful and thought provoking post! I am trying to catch up with blogs I love, so I am coming to this late, but I have a child of this age and we are beginning plant study (in more detail and more consciously now, as nature studies are ongoing) and what I love is the comparison to different plants at different ages. My daughter has been been “taken” with ferns in the last month, which is about where she is developmentally with Steiner’s chart. Per a suggested meditation by a Waldorf coach, I have thought about my children in comparison to a plant (or as a plant) and I was just thinking how interesting it is that I had been thinking of her in the likeness of a fern; strong but delicate, intricate, exposed, uncurling herself slowly to the world. And you nailed it with why Waldorf is tricky. It looks the same and different for all of us, especially at home!